Some of sub-Saharan Africa’s top shopping gurus will be in Johannesburg this June for one of the biggest retail and trade events on the continent. Trade Buzz is the three-day conference at the heart of SAITEX 2017, which is Africa’s largest international product sourcing expo. “SAITEX offers retailers, entrepreneurs, traders and wholesalers the chance to see and meet with hundreds of international suppliers – the Trade Buzz conference is where visitors gain key knowledge and insight on exporting, importing, how to boost their business whilst also developing their career,” says David Ross, dmg events’ conference chief. Trade Buzz has a comprehensive three-day programme focused on the retail sector including expert insight into consumer behaviour and how to get new products onto big retailers’ shelves, right through to practical sessions covering import, export and successful international expansion, with case studies. New to Africa this year, each session earns Continuing Professional Development (CPD) accreditation for attendees. CPD has been operating around the world and international show organiser dmg events, which bought SAITEX last year, introduces it to South Africa in 2017. CPD benefits the employee, the employer and ensures its conferences are of recognised international standard. The first day of Trade Buzz will see Tim Fry, the African Expansion Director for Danone Southern Africa, look at growth opportunities for retailers across the region. And Derek Engelbrecht, Africa Consumer Products and Retail Sector Leader at EY, will reveal to importers and exporters the secrets of getting your products onto supermarket shelves. The second day of Trade Buzz will focus on changing retail trends and give delegates an understanding of consumer expectations, today and in the future. One sessions titled ‘Which products should you be sourcing to satisfy and anticipate emerging market demand?’ promises a few surprises. That will be followed by a series of sessions dealing with the unique demands of different retail sectors, from furniture and clothing through to building and electronics. SAITEX 2017 has been rebranded and relaunched this year to meet the needs of a fast-changing African market, which has seen a surge in affluent buyers. And Trade Buzz 2017 – with a packed conference programme, top speakers and training credits for delegates – sees conferences move to a new level in South Africa. SAITEX is co-located with Africa’s Big 7 – the continent’s premier food & beverage expo – and The Hotel Show Africa 2017, one of the world’s most successful hospitality event brands takes its inaugural step into Africa. 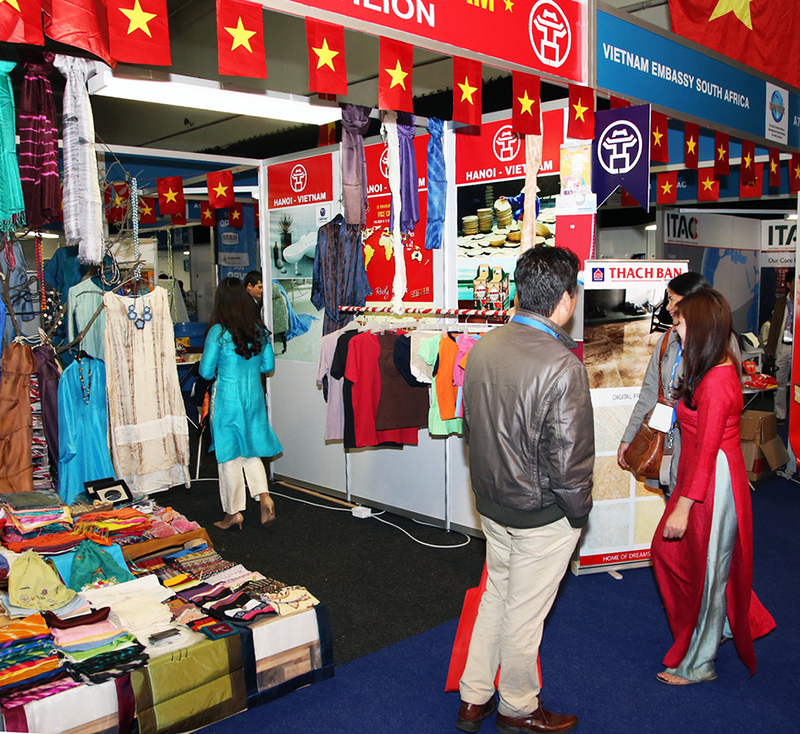 The three shows together create the largest Retail & Hospitality gathering in Africa. You can see the full Trade Buzz conference programme at www.saitexafrica.com and also register for show and conference passes.